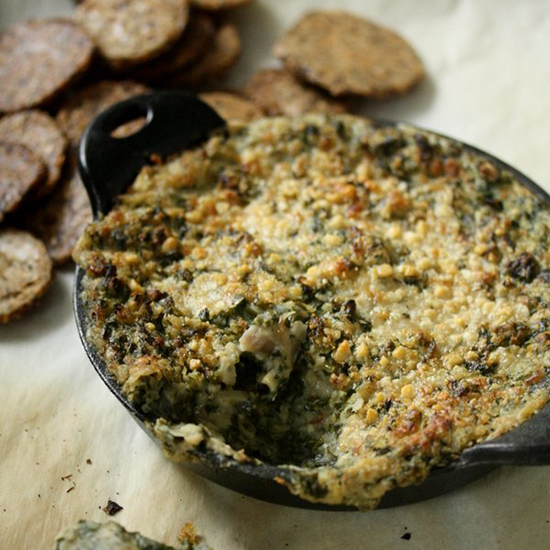 Whether you're going to a potluck or hosting a holiday party, you can't go wrong with a savory dip. It's pretty much a guaranteed crowd pleaser, and many of these recipes take just minutes to put together. 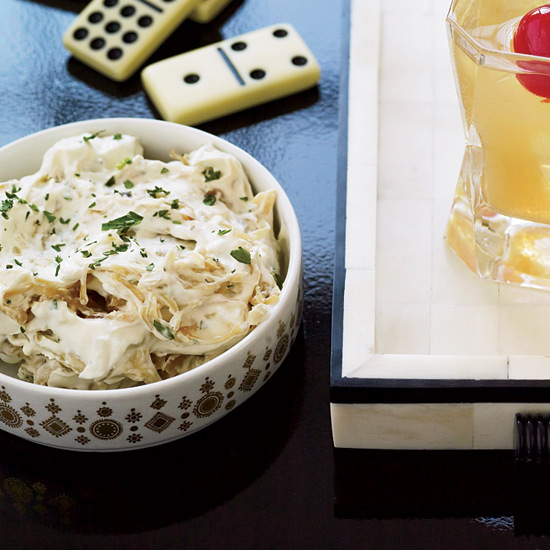 From caramelized onion dip to creamy chicken-liver mousse, here are delicious holiday party dip recipes. 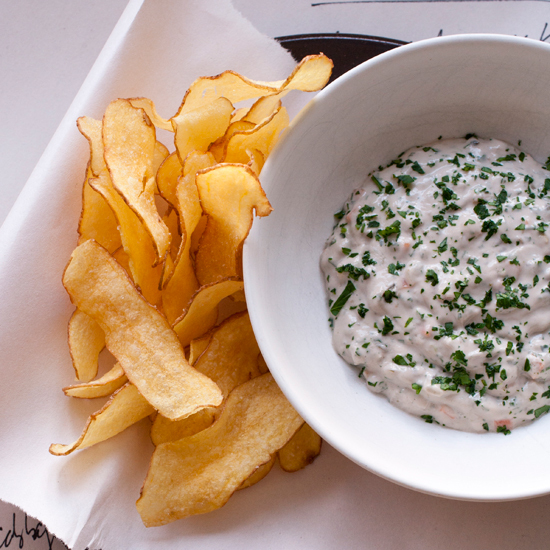 Holiday Party Make-Ahead Tip: This onion dip can be covered and refrigerated for up to 3 days. 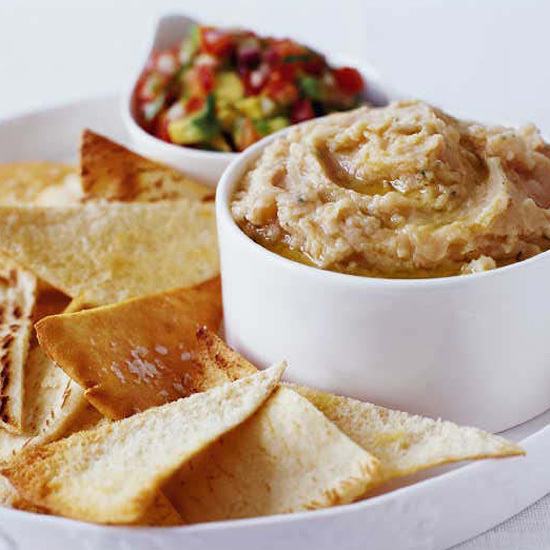 Serve this creamy, savory dip with potato chips, crudite or slices of baguette for a no-fuss appetizer. 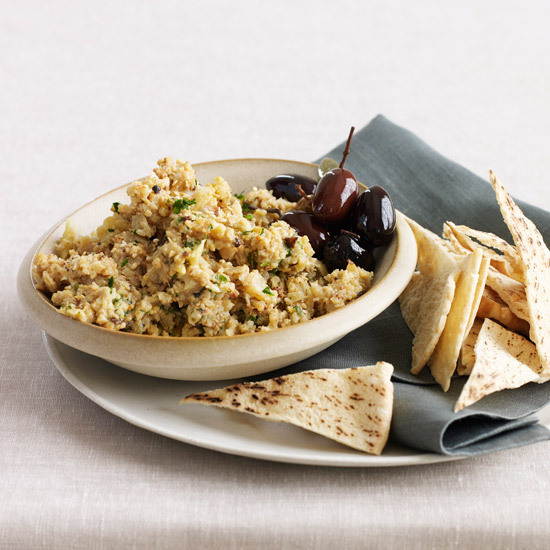 Drizzling a high-quality olive oil over this dip will add depth and complexity, but stick with a less-expensive supermarket brand when sautéing the garlic and herbs. 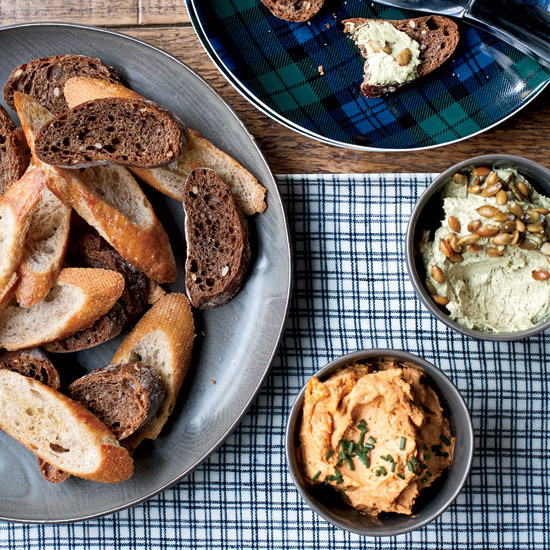 Suggested wine pairing: Serve with a robust, dark-fruited Zinfandel from Sonoma County. Jerry Traunfeld toasts and grinds whole coriander seeds before pureeing them with roasted cauliflower, tahini paste, lemon and cilantro. 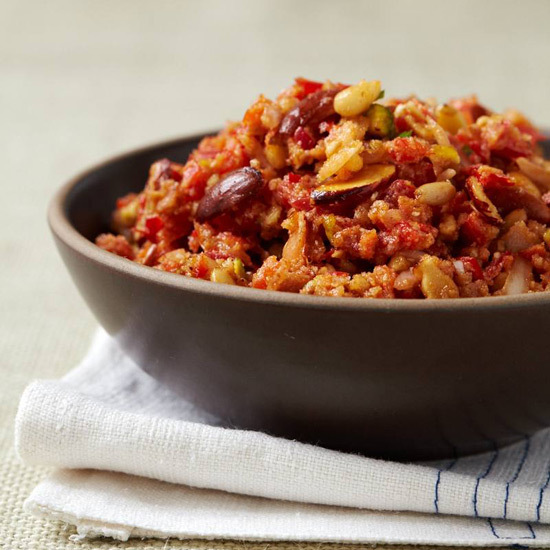 Instead, use ground coriander from a bottle to season this bright, tangy recipe. 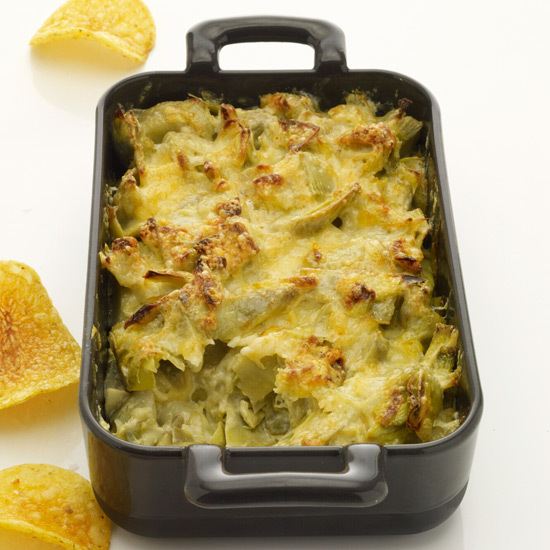 This fantastic healthy version of artichoke dip is made with non-fat Greek Yogurt, tofu and cayenne. 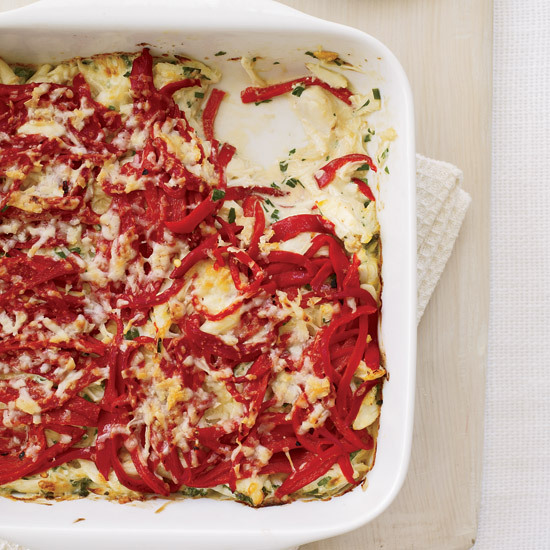 Parmesan cheese and sour cream replace the usual mayonnaise. 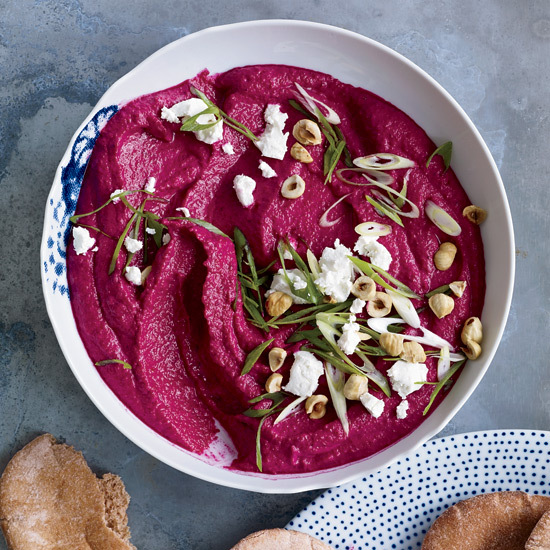 The classic Syrian nut dip muhammara typically contains walnuts, bread crumbs, Aleppo pepper paste and pomegranate syrup, but there are endless variations. 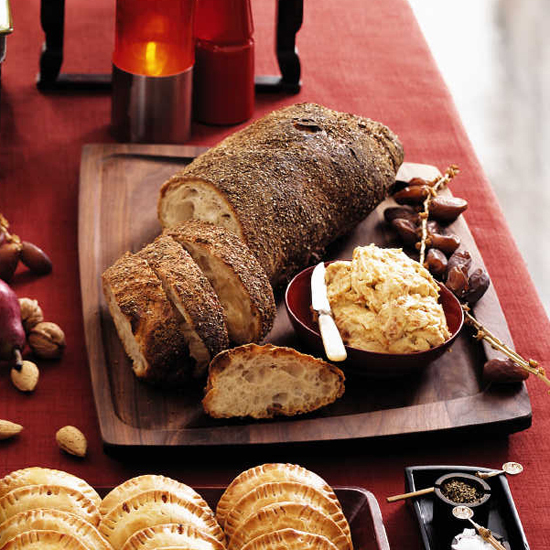 Pistachios, cashews and freshly toasted pine nuts, almonds and walnuts give it a chunky texture, while onions and red bell peppers make it tangy-sweet. This fruit-filled butter is wonderful on crusty bread. It’s also great with warm popovers, pancakes, waffles and muffins. Brooklyn’s Flatbush Farm feels like a cross between a French bistro, an English pub and a Brooklyn neighborhood joint, and the bar menu includes corresponding comfort foods. 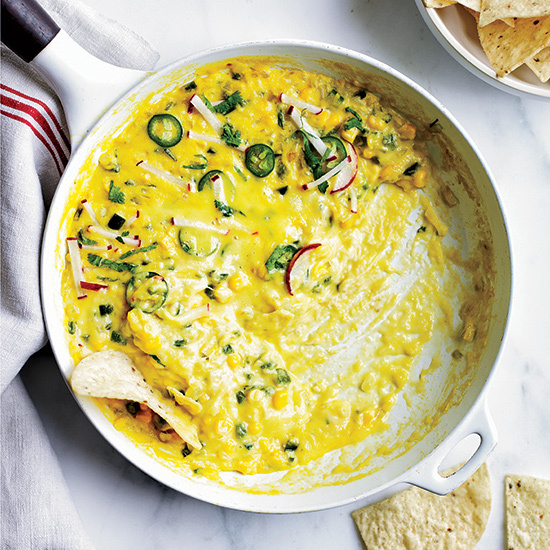 One is this all-American, over-the-top, cheese-smothered dip. 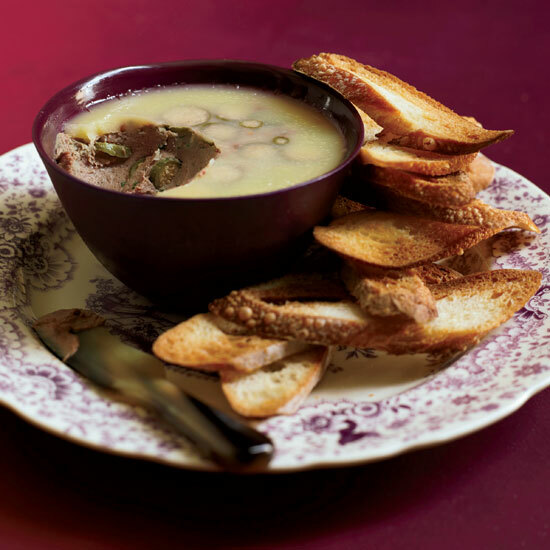 French onion soup mix combined with sour cream is the quintessential '70s dip. 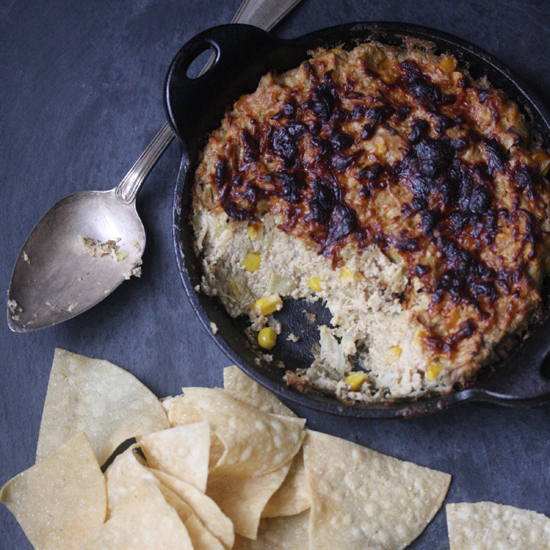 This luxurious upgrade eschews the powdered stuff in favor of crunchy fried scallions. 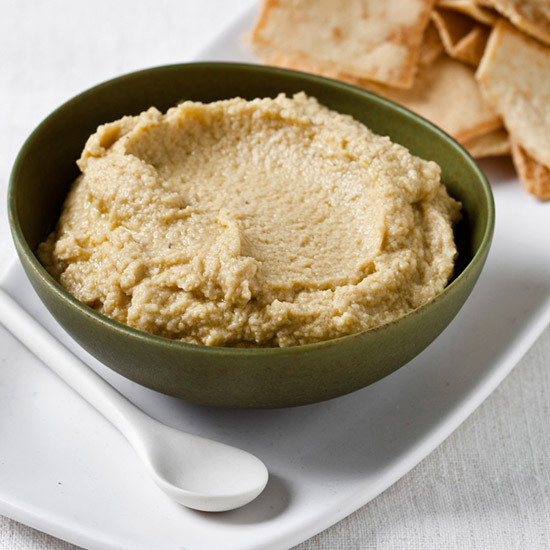 Replacing the sour cream with the Lebanese cheese lebneh creates a dip that's fairly low in fat; substituting nonfat fromage blanc or drained Greek yogurt would make the dip more virtuous yet. 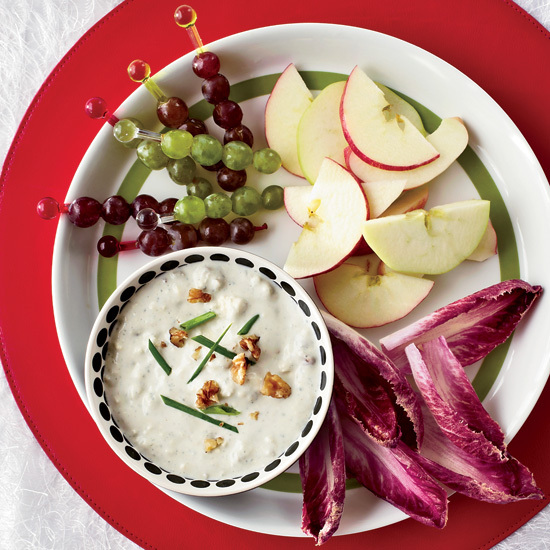 For a healthier alternative to sour cream, try mixing in nonfat Greek yogurt. 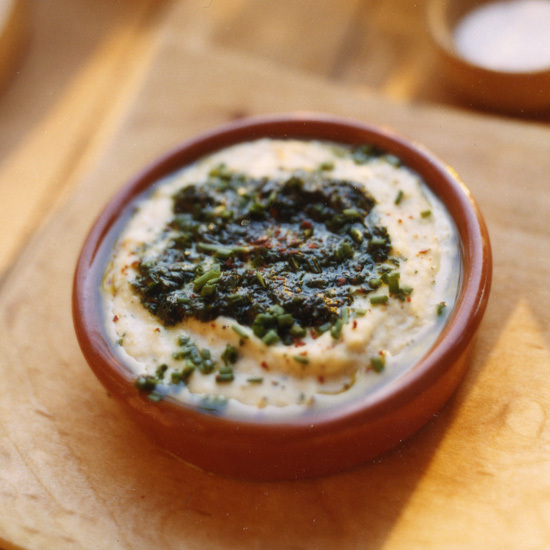 To put a healthy spin on the classic spinach dip, try using kale instead of spinach and pureed cannellini beans in place of the bechamel sauce. 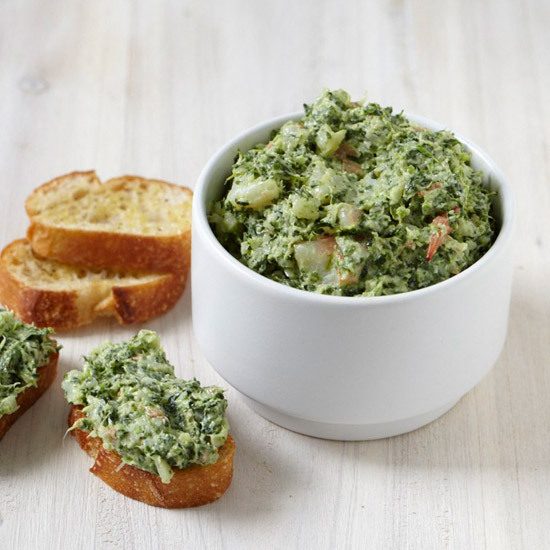 This recipe is completely gluten free and can be prepared in advance for a quick and healthy appetizer.